Authenticast was a product name used from the 1930s to the 1950s by the American toy maker Comet, to market a range of metal military toys and soldiers made using a centrifugal casting process that allowed more detail than earlier methods. 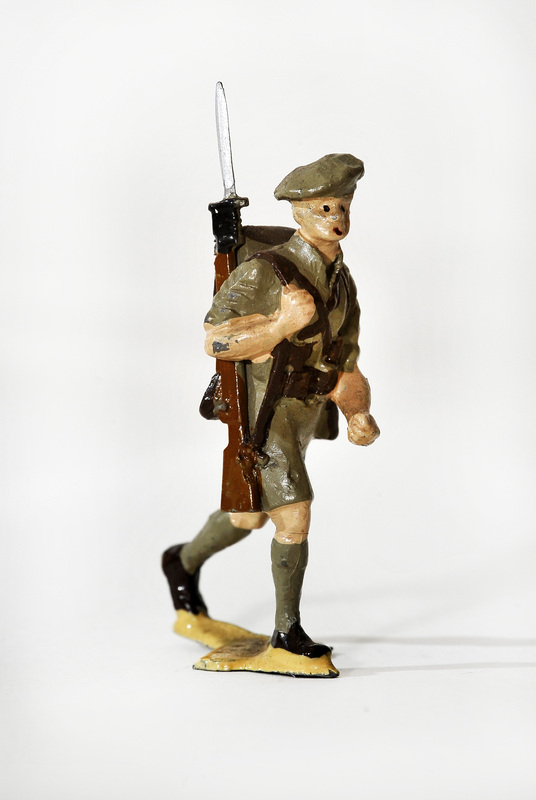 Authenticast toy soldiers are descendants of Comet’s earlier “Brigadiers” series and were made by a subsidiary of the Comet company set up in Ireland after the Second World War to take advantage of post-war economic regeneration initiatives. 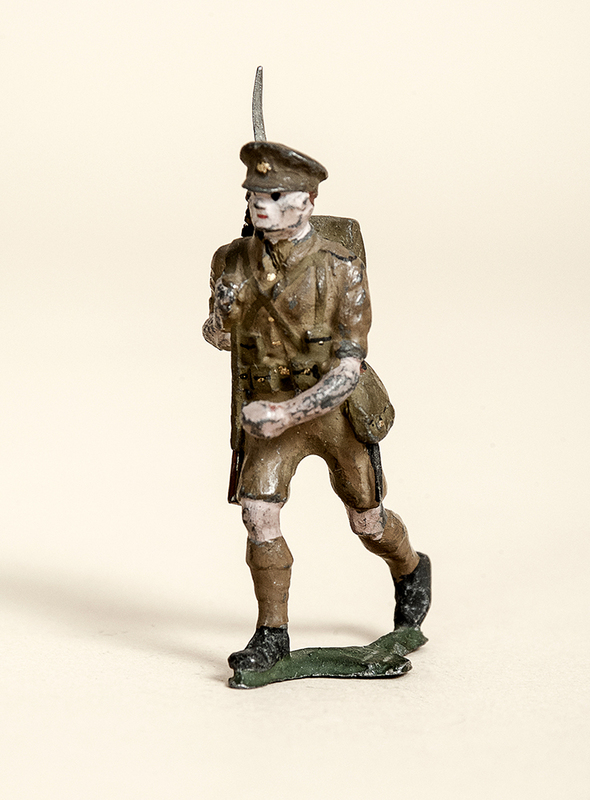 The original moulds for Authenticast toy soldiers were made by talented Swedish designer Holger Eriksson, who may also have designed some of Comet’s earlier “Brigadiers” series; his initials “HE” and the country of origin “Eire” can often be found inscribed on the characteristic cross-shaped base of these figures. Authenticast ceased production in 1953 after a fire destroyed the Irish factory. 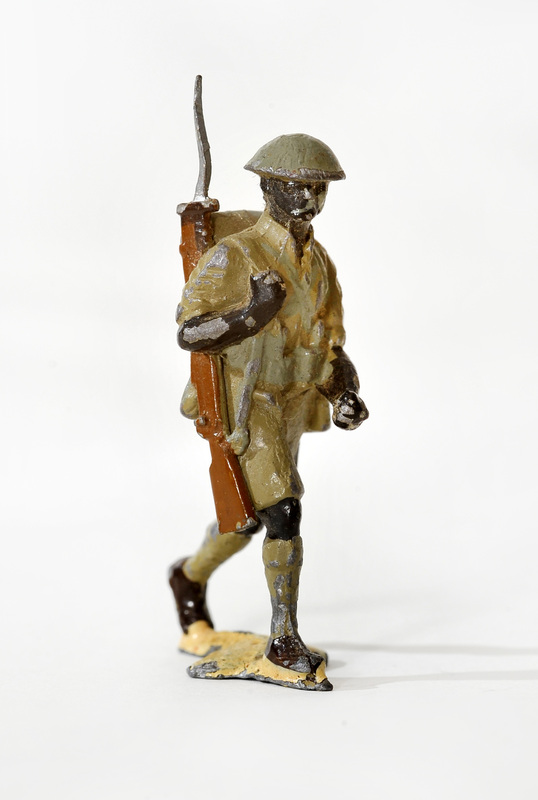 Some of the moulds were taken over by a company called Swedish African Engineers (SAE) who manufactured toy soldiers in South Africa in the 1950s and 1960s. 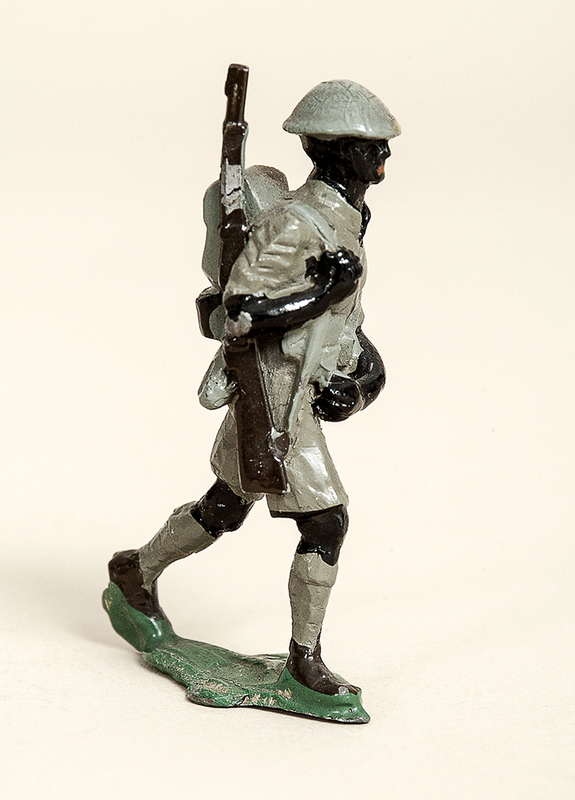 The 1/32 (54mm) scale French tirailleur made by Authenticast is a superb figure, made as a toy over fifty years ago but superior in design and manufacture to many modern models. The word “tirailleur” meaning “skirmisher” has been used in the French army since Napoleonic times as a designation for light infantry. 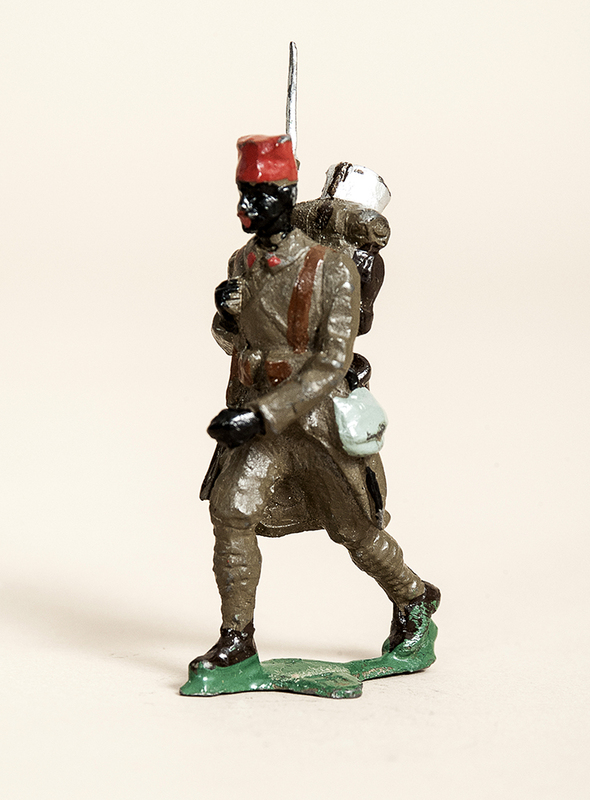 In the 19th and 20th Centuries the term was particularly used for native infantry recruited in the French colonial territories of Algeria, Tunisia, Morocco, Senegal and Indochina. 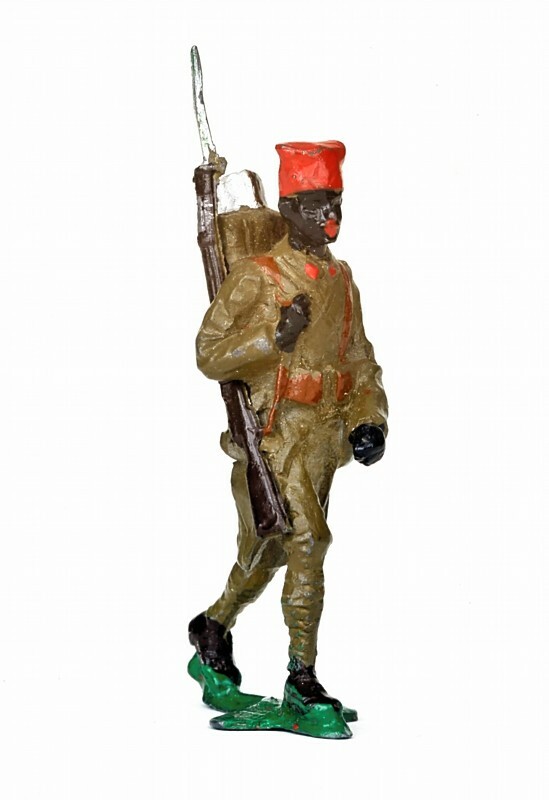 The black infantrymen (above and below left) in what looks like British field dress for the Second World War could represent askari from the KAR, although it is more likely that they were originally sold as West African Troopers. There are other Authenticast figures that would enhance a KAR collection. 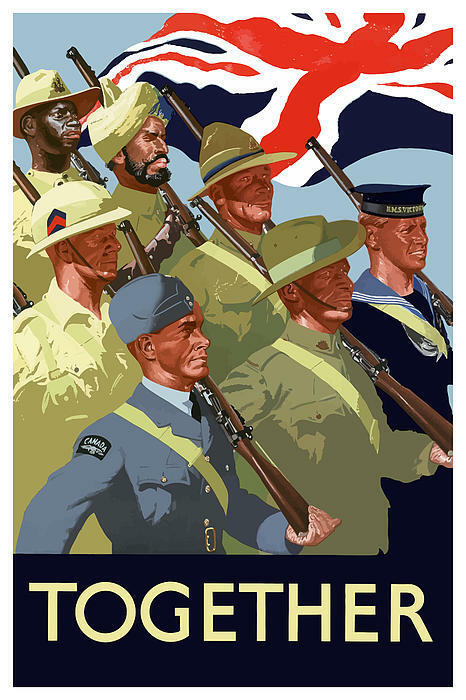 The Australian infantryman wearing a slouch hat could easily be a white British KAR officer. The beret-wearing infantrymen (below) could be from any number of British regiments – I like to think of him as being from the Loyal North Lancashire Regiment, which fought alongside the KAR in the East Africa Campaign of the First World War. 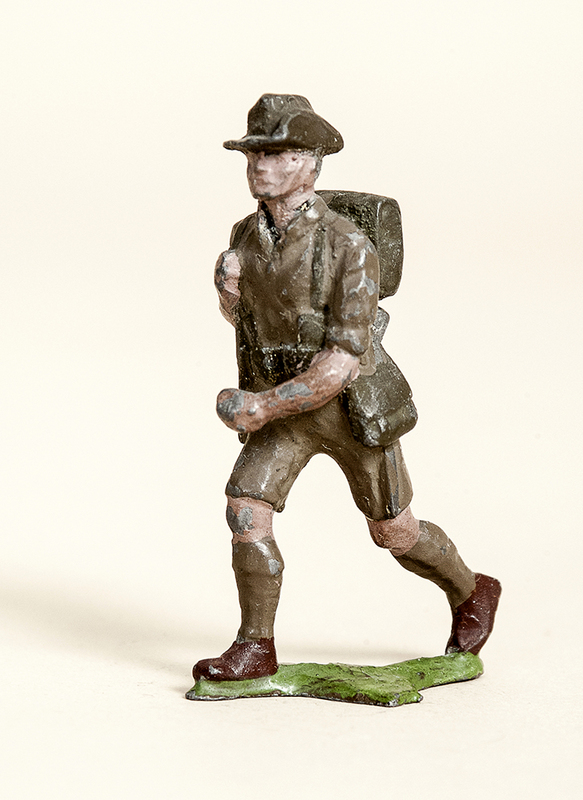 The soldier in a peaked cap could be from the army of the Republic of Ireland, but this does not explain why he is wearing tropical shorts. 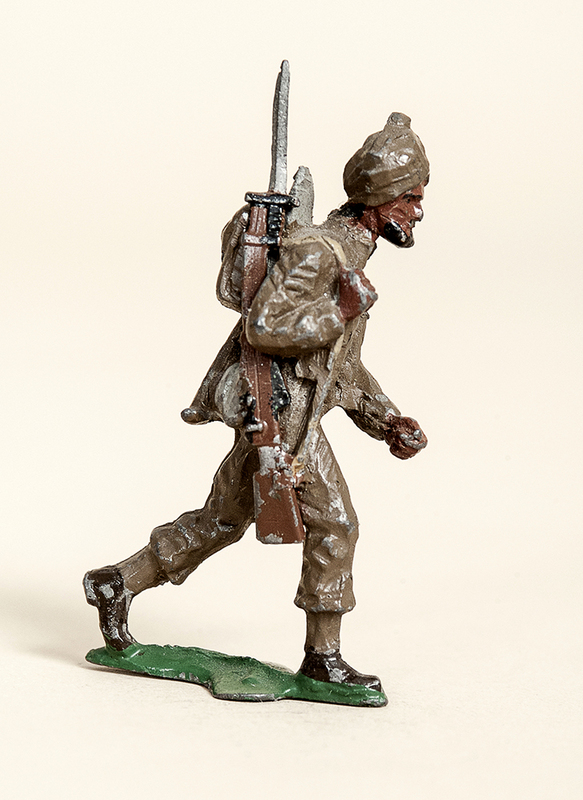 The excellent figure of an Indian soldier could easily be from Britain’s imperial Indian Army which fought alongside the KAR before and during the First World War. 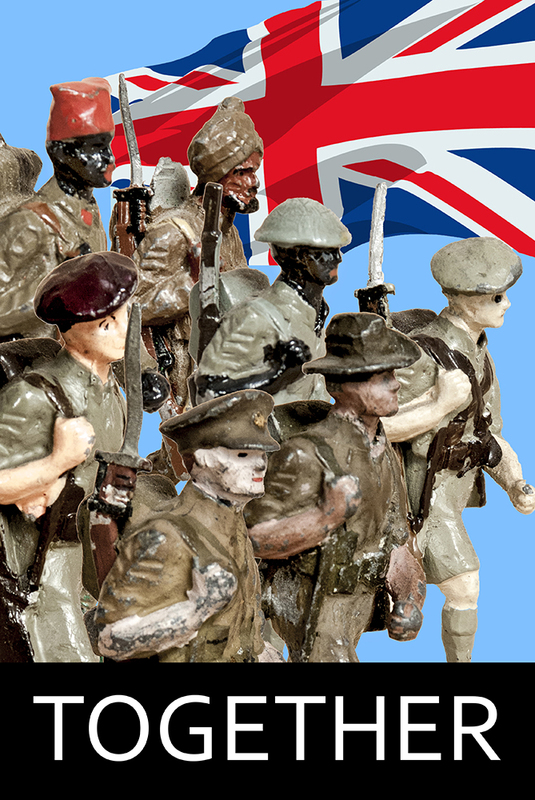 Together I find these Authenticast figures, with their purposeful strides, strongly reminiscent of the famous Second World War recruiting poster showing the British Empire fighting together.